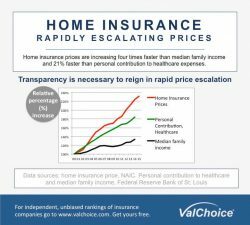 BEDFORD, NH – June 15, 2017 – ValChoice®, the first company to bring transparency to auto insurance, today introduced a new home insurance grading system that rates insurance companies on the three most important things consumers care about: price, protection (claims handling) and service. This service comes at a critical time for consumers given that since 2000, average home insurance prices have increased 21% faster than the personal contribution to health care, and increased nearly four times faster than median family income. 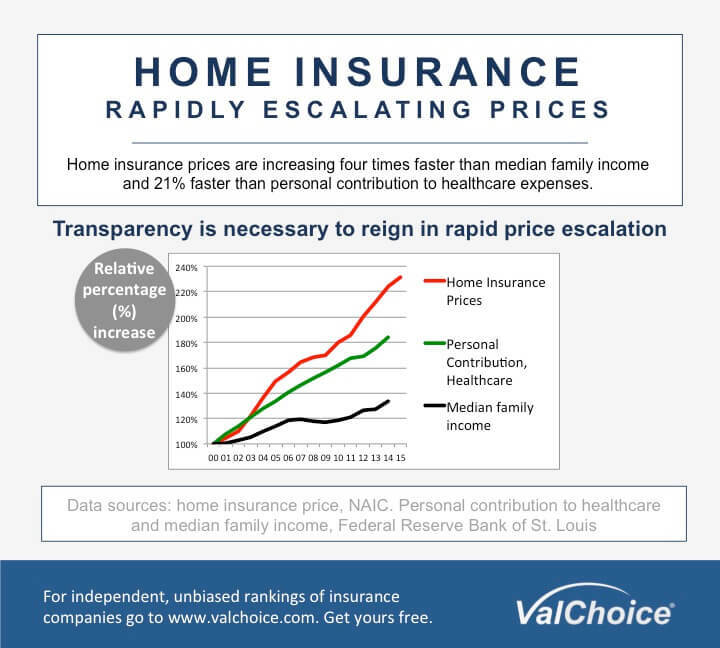 Building on the proven analytical capabilities of the ValChoice auto insurance grading system, this new service will enable every consumer to download a free report on their home insurance company or one they are thinking of trusting for their insurance protection needs. 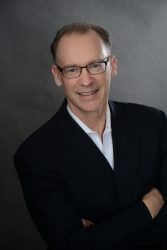 If they find out a company scores poorly, ValChoice provides additional report cards identifying the best home insurance companies in their state. Consumers can access their free ValChoice report card at this link. Insurance is one of the last remaining opaque markets. Even with large amounts of data collected on the performance of insurance companies, until now, consumers have had no way of knowing which companies are best at honoring the promise to protect them. Only transparency can solve this problem. Delivering this transparency is the mission of ValChoice. Is Distracted Driving The Reason Car Insurance Prices Are Increasing?